One month tomorrow, Wednesday April 4th, the journey begins – reminding me of setting off four years ago this month on my so far longest, 4000-mile, round trip to Budapest, and of the nervous thrill of the first day’s journey across (picture l.) Salisbury Plain with its unexploded bombs. That’s pretty sobering and clear, but more on that below. Time here at the top of this post (curious how blogs end up writing themselves in orders one really hadn’t expected) for the first of what I hope will be many expressions of warmest thanks to wonderful friends and colleagues who, as I write, have already donated an amazing £868.75, including Gift Aid tax relief, to the good causes for which I’m encouraging sponsorship of my ride. That’s brilliant and humbling, awesome even (as my daughter Kat would say), and some of you have been quite astonishingly generous in the size of your contribution. The Rory Peck Trust, the EMDR’s UK-based Humanitarian Assistance Programme, and sotte voce to one side (taking 20% of donations against 40% each for the other two, and by the way we have two brilliant concerts coming up tonight and next Saturday) my chamber choir Cantores are all already most grateful. This blog is behaving itself, it would also seem, and attracting at least a sprinkling of folk who want to be kept up to date. Thanks to Chris (who himself cycled 16,000+ miles to China in 2000), Tayna, Lynne, Ilana, Elke, Dave and Ilya just to name a few recent signups. Welcome on board. And I’ve even sourced, today, a perfect bicycle route map to get to me beyond Berlin to the Polish border along what I discover is Europe Bicycle Route R1, starting pretty much as soon as I get off the ferry in The Hague, most probably on Easter Day in the morning. Right. Let me resume the first-day-out thread. 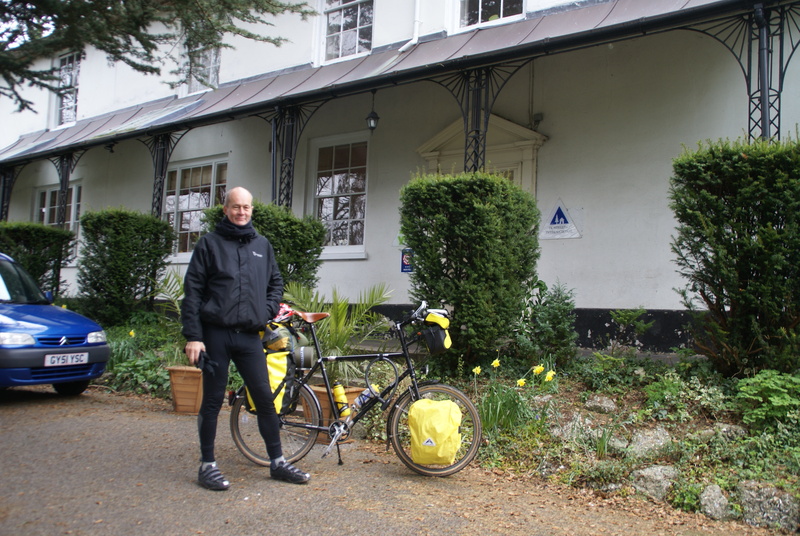 On Easter Day in March 2008, heading for Portsmouth and the ferry to France on my circuitous way to Budapest, I did nearly 70 miles on that first day, straight line across the army training grounds to Salisbury Youth Hostel. As an adventure’s beginning, it was both utterly exhausting – even then, my creaking muscles and joints took a good 10 days to get properly fit and into gear, and weren’t that way until well into France – and also, above all, exhilarating. 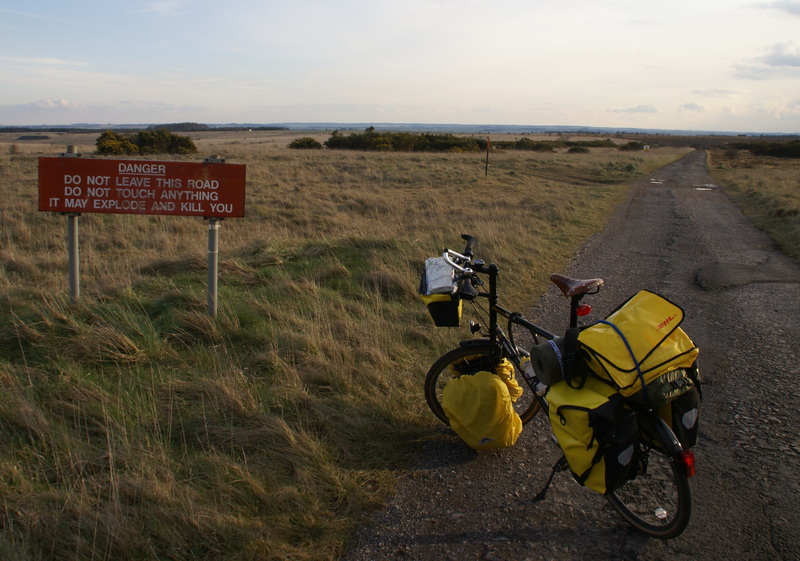 This time, a month today, I’ll be taking it slightly easier, pedalling north-east from Cirencester along the old Roman Fosse Way to Banbury, and a first lunch with my dear old Moscow and University friend Judy, before heading on via sister Carol in Cambridge to Harwich. More about that later, needless to say, but before I go this time (and honestly, I’m planning for the moment to blog only once a week, promise), let me tell you about the oddest experience I had the other day when doing what they apparently call a vanity search on Google. Checking for how my professional therapist’s website and this blog appear in Google search rankings, I found, to my absolute amazement, that I have an entry in Wikipedia. I have absolutely no idea who put it up there. Was it one of you journalism students in Cardiff? Was it Debrett’s Distinguished People of Today where, believe it or not, I still figure? It certainly wasn’t me. The entry was largely correct, taken from the CV on my own website. Wikipedia noted that I had been married to Jutta, and that I was now married to Sue. But for some weird reason, it said the reason was that Jutta was deceased. Our marriage, in Bavaria 35 years ago this month (my siblings’ gift of a Globetrotter tandem a sign of things to come), may legitimately be described as having turned its toes up in 2000, but surely not my ex-spouse, who is both alive and well, successfully building her own therapist’s career with the NHS, and living, as fate would have it, just a few hundred yards from my mother Audrey in North Norfolk where I grew up. 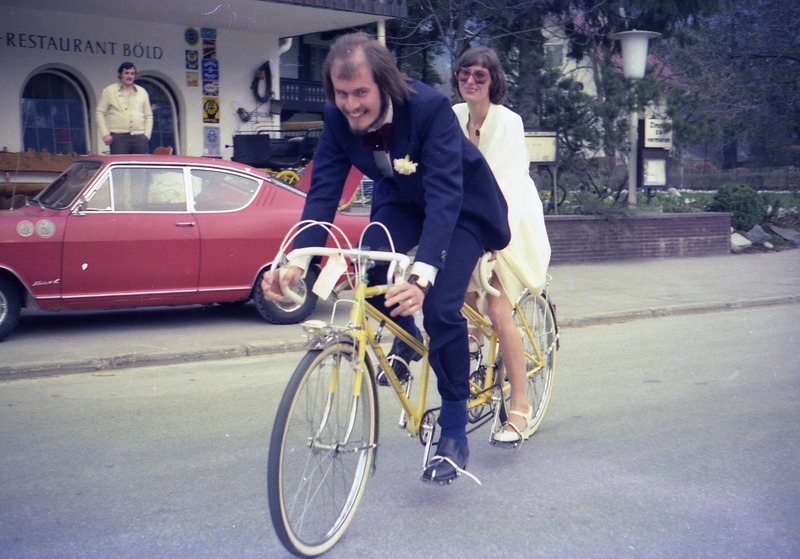 It was a good experience to cycle through Bavaria in 2008 and think about the personal journey since, and about how and why, unlike the ride to Budapest, our marriage didn’t make the distance. But where on earth did the Wikipedia contributor who first posted my biography get the idea that Jutta was no more? As a Wikipedia contributor myself on occasion (I can’t stand misplaced apostrophes and missing or superfluous commas – how sad can you get…) I should add that my biographical entry has indeed now been corrected, and this blog even added as a URL. Jutta, (dare I tell her!? ), will, I suspect, be quite relieved to know that at least on Wikipedia, I have resurrected her from the dead.